MOSAIQ is a client-focused consultancy and services firm dedicated to helping businesses achieve next level licensing revenue growth and master asset management. We know how to tap into the value of your assets and reach the licensees and partners to increase your brand exposure and bottom line. We can help you prepare your assets for the market, advise on strategies and licensing models, and represent your content. Stay up to date on all things educational publishing with our newsletter! Discover new content in a new way. MOSAIQ’s CurationIQ is a content marketplace built for educational product creators. Finding and licensing exceptional PreK-12 content is now easier than ever. 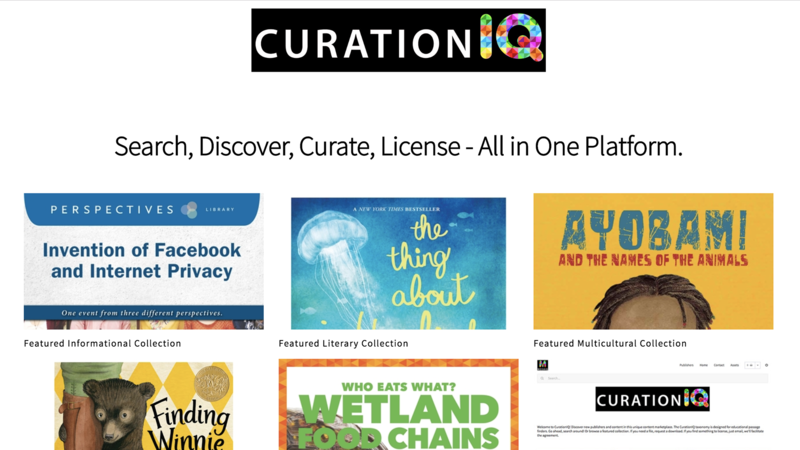 CurationIQ is an asset discovery tool and content marketplace with a focus on licensing content into the educational markets. The curation model is driven by partnerships with high-quality small and indie to large publishers. The heart of the CurationIQ engine is the unique taxonomy and metadata built for creators of curriculum, assessment, supplemental, and software educational products. This enables a very special platform to find content previously undiscovered for existing and new channels of educational products.